Dear Aspirants, The Level of exam for Quantitative Aptitude Section has been increasing every exam. Due to the major changes in exam pattern, the questions become tougher compared to the previous year. Mostly new pattern questions asked in every topic of Quantitative Aptitude section. The questions are at a high level than the candidate’s prediction. So candidates should update well as per the recent trends. One of the new pattern questions is Quantity I and Quantity II (Prelims Level). Our expert team was composing the questions under the new pattern of the examination and in aspirant’s exam point of view. Already our team said, For your preparation guidance, monthly we will provide two e-books for our Platinum Package users. 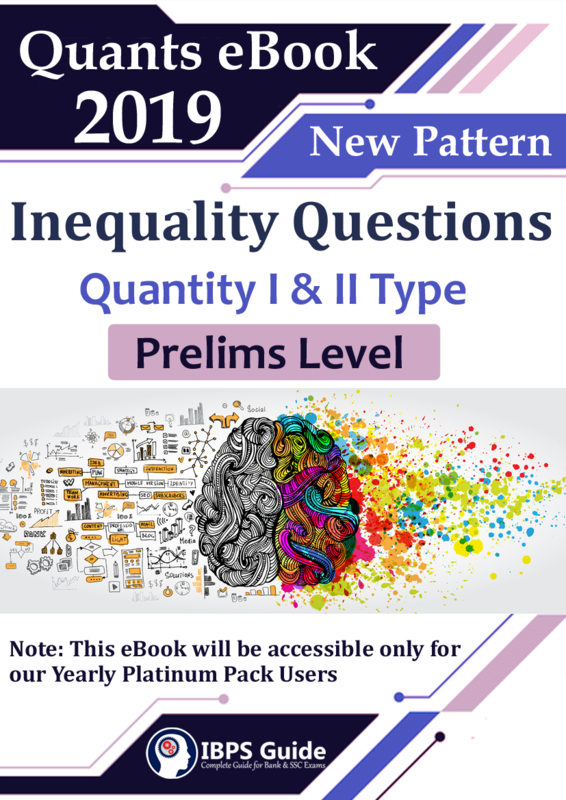 Based on that now our IBPSGUIDE Team providing Top 50 New Pattern Aptitude questions e-book on Quantity I and Quantity II topic (Prelims Level). This eBook consist of new pattern questions from Quantity I and Quantity II topic for prelims. So Aspirants can get more clear idea about this new pattern expected question models and it will definitely help you for better practicing. All platinum package users can access these e-books. 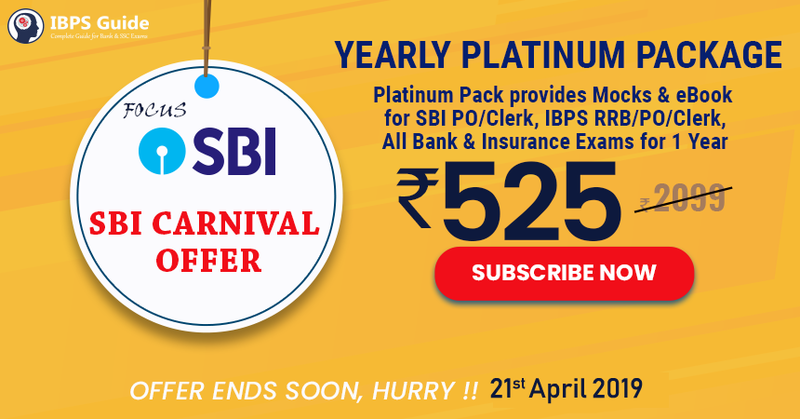 Start your preparation now and crack your LIC AAO/SBI PO in a successful manner.